Instagram for me is like the ‘God’ of all social media platforms. I’m a visual kind of person so love scrolling through people’s photos, some may call it nosey but I’m okay with that. I tend to check my Instagram feed more than I do any others and I’ve become quite addicted to it. Here’s a bunch of Instagrammers you need to follow! Hannah Maggs like myself is a new mummy to a gorgeous baby boy. She not only posts adorable photos of Grayson but her day to day life photos are beautiful. I’m always eyeing up Hannah’s beauty photos adding her favourite lipstick she’s just discovered to my ever growing Space NK list. I blame you Hannah for my unhealthy bank balance! Amber Fillerup is another mummy Instagrammer from NYC. Apart from her cute photos of baby Atticus, her hair braids are simply stunning. I could quite easily live vicariously through Amber, I basically want to be her. A yummy mummy living the dream in New York, one can only hope. The Londoner cue fangirl squeal. Rosie is my ultimate girl crush, her photos are a dream, her dog Custard is the cutest little pooch and she has the figure of a supermodel. Following Rosie means you get to find out all the inside scoop of where to dine in London Town, what’s hot on ASOS at the moment and little snippets of her life back home in the countryside. Nor_Folk If you’re after pure white simplistic photos then you need to follow Fiona. Her converted factory house is Pinterest worthy and I love her #fromthecuttingfromfloor and #widn photos. Oh and she has the coolest kid around. From Stanley’s clothes to his edgy haircut, he’s the boy Max needs to be friends with. Oh So Amelia is mummy to Amelia and her newborn baby boy Harrison. I am in complete ore of this women, from looking at Kerry’s beautiful Instagram page her home always looks tidy, both her children are impeccably dressed and she maintains a successful blog too! Kerry spill the beans would ya, how do you do it?! Sarah Weston. From the moment I found Sarah’s Instagram I was immediately hooked. Her photos are a photographers dream and her baby boy Sammy is just the cutest little bear. Sarah always posts the most beautiful photos of her home and her day to day adventures with Sammy. You just have to follow her! 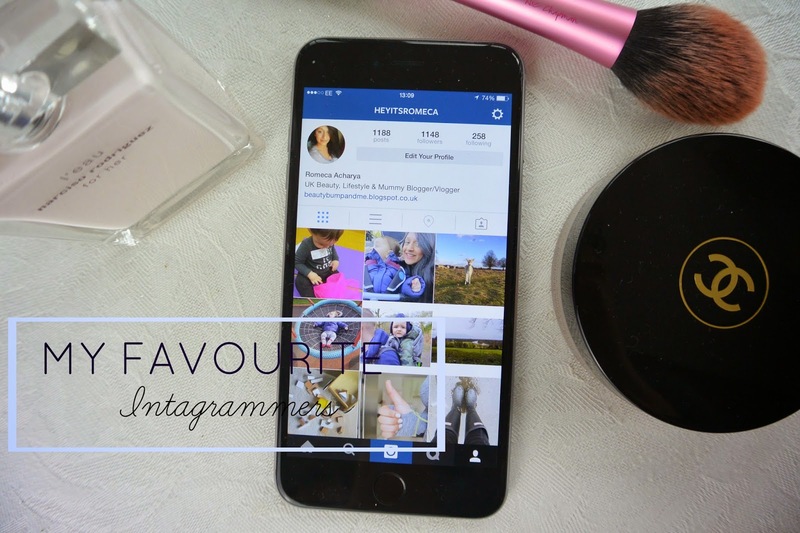 Who are your favourite Instagrammer’s to follow?